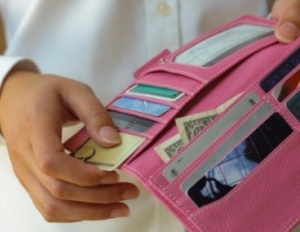 How Will Falling Off Fiscal Cliff Affect Your Wallet? By now, you’re probably more familiar with the term ‘Fiscal Cliff‘ than you care to be. You’re not alone. But could the crisis affect your wallet? The short answer is yes. Before the end of the year, Congress must decide how it will extend tax cuts that most Americans have enjoyed for years. If these cuts are not extended, the worst case scenario would be that every taxpayer will see their taxes go up next year, which could amount to each household owing Uncle Sam up to an extra $3,400 a year; several rounds ofÂ tax credits for individuals and businesses are scheduled to expire at the end of the year. More than 50 percent of the tax increases would come from the expiration of tax cuts approved in 2001 and 2003 and from additional tax cuts that were approved in a 2009 economic stimulus law. The first set of tax cuts reduced rates on income, investment gains, dividends and estates. They also increased tax credits for families with children. Deductions for married couples also rose. The 2009 measure increased tax credits for low-income workers and college students. Another 20 percent of the tax increase would come from the expiration of a Social Security tax cut enacted in 2010. The expiration of this tax cut would actually hit effected earners in the paycheck, a development that would quite obviously catch many by surprise. Additional tax increases would come from the expiration of about 80 tax breaks, mostly for businesses. One example is a tax credit for research and development (which most businesses engage in) and another is a business deduction for the cost of large equipment or machinery. The expiration of the aforementioned breaks and credits would affect us all from the little man to the business man and would lead to consumers spending less and businesses cutting jobs or delaying hiring. And for those that are currently unemployed, extended unemployment benefits for about 2 million people would end. The extra benefits provide up to 73 weeks of aid. What should you be doing? Right now we are all waiting on a resolution to the looming problem. It is expected that Congress will step in and solve the problem before the worst case happens. But remember, no matter what is happening economically or politically, you should always have money saved. I call it creating a financial back up plan. In this case, if your taxes were to increase and you saw a reduction in your paycheck, you would have funds to cover the shortage until you devised a more permanent solution. The economic implications of the Fiscal Cliff are serious. We need a resolution soon.